‘Married at First Sight’: Danielle Closed Off from Bobby Dodd – Problems on ‘Happily Ever After’? 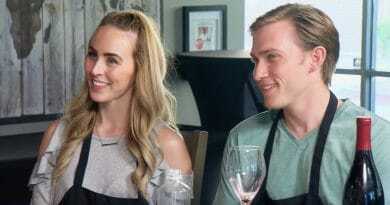 Married at First Sight: Happily Ever After shows Danielle Bergman and Bobby Dodd may finally have problems. Things are no longer smooth sailing for the Texas MAFS couple. Danielle Bergman and Bobby Dodd enjoy their retreat, but also come face to face with glaring issues in their marriage. 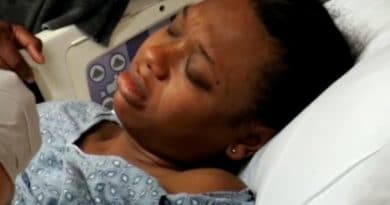 All three couples have a baby on the way, so it’s important for them to work out their issues now. Luckily, they’ve got a team of experts to help them navigate these troubled waters. So far on Married at First Sight: Happily Ever After, Bobby Dodd and Danielle Bergman have come across as the perfect couple. They haven’t had their first fight. Added to this, they’re rarely frustrated with one another. Pastor Calvin digs deeper into their relationship this week to see if there are things swept under the rug. When the couples were asked to rate their marriage on MAFS: Happily Ever After, both Danielle and Bobby rated theirs a 10. This high rating catches the attention of Pastor Calvin, who sits down with the couple this week. In his mind, every marriage needs improvement. While everything seems perfect on the surface, Pastor Calvin wants them both to dig a little deeper. Throughout this episode of Married at First Sight: Happily Ever After, it’s clear that Danielle is not good at dealing with and expressing her emotions. Bobby Dodd is the more open of the two when it comes to expressing himself. Danielle Bergman is closed off. Each couple on Married at First Sight: Happily Ever After has their own unique challenges to overcome. This week, each couple is given a tailored activity by an expert to help them confront a specific issue in their marriage. Pastor Calvin gives Bobby and Danielle a block activity. They each have to pull a block from a block tower. Each block has an emotion attached to it, and they have to take turns describing a situation where they felt the corresponding emotion. Some of the blocks are blank. In Danielle’s case, Pastor Calvin wants to get her comfortable with expressing her emotions. That plan backfired. Danielle Bergman picks several blank blocks. She goes on to say that her family was not very affectionate growing up. She can deal with negative emotions but has a much harder time dealing with and expressing positive emotions. This is the first time that viewers get to see something real from the couple, showing that maybe everything is not as perfect as its been made out to be. Despite the cracks in their near-perfect veneer showing, things end on a positive note for Bobby and Danielle. Bobby Dodd is all for Danielle expressing herself more and providing feedback. At the very least, this is an issue that is brought to the forefront of their marriage. Maybe now that its been acknowledged, it’s something that can be worked on. Bobby and Danielle still haven’t fought, but if they continue to work on the things they learned in this episode, maybe they won’t ever have to. Catch an all-new episode of Married at First Sight: Happily Ever After Tuesdays at 10 PM only on Lifetime. 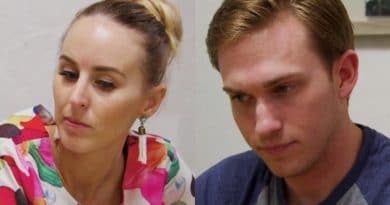 Married at First Sight: Bobby Wants Danielle to Stay Home with Baby – 1st Fight for Happily Ever After Pair?